Cherry Mosteshar talks about her experiences as a young woman living in Iran in the years following the 1979 revolution. This book is the autobiography of Cherry Mosteshar, an idealistic young Persian woman who was born to a rich family before the fall of the Shah. Raised and educated in England, Mosteshar longed to return to the Iranian homeland where she was born. At last the opportunity arose for Mosteshar's return to Iran. The book tells of the experiences of Mosteshar, her mother, grandmother, aunts, and cousins, set against the backdrop of the revolution that overthrew the Shah, followed by the rise to power of the Islamic rulers. The book opens by chatting about various members of Mosteshar's extended family in Iran. The sheer quantity of people discussed makes it difficult for me as a reader to keep track of who's who, and as a result I find I don't particularly care what happens to any of them. Even the family tree in the front of the book is not enough to help me track all these people. Eventually, Mosteshar meets and marries a man who is rude, demanding, and mundane in just about every way. It's a mystery why a wealthy young woman who doesn't need a man to support her would choose someone who is so lacking in redeeming qualities. You would be interested in learning something of Iran's 20th century history. You want to believe the most negative things possible about Iran and you're looking for books that will support your preconceived point of view. You don't have much patience with people who fail to think things through before placing themselves in questionable situations. You don't have much patience with whiners. You're looking for a balanced picture of what life in post-revolutionary Iran was like. You're looking for recent information on what it's like to be a woman in Iran - this book was published in 1997 and Iranian society has been undergoing many changes in the years since then. This book puts a human face on the stories that have appeared in the international news media about Iran since the 1970's. 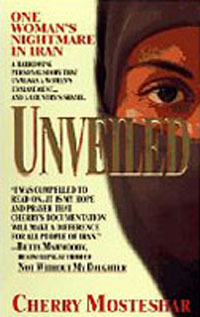 The book demonstrates the impact that events in Iran have had on the lives of everyday people. The story is filled with drama - corrupt government, marital infidelities, rich people being humbled by the rebellion of the common people, etc. This book provides informative background about the 20th-century history of Iran. It paints Iranian society as being much more complex than the usual image portrayed in the U.S. media. The book is poorly written. It's very confusing. I feel as though I need a scorecard to keep track of Mosteshar's family members as they enter and exit the story line in droves. It is difficult to remember who is an uncle, a cousin, or just a friend because there are so many of them and none are developed fully enough to be memorable. The book portrays a very negative view of what it is like to live in modern-day Iran. It leaves me, as a reader, suspecting the book may be unfairly one-sided. An American friend of mine visited Iran with her husband in the late 1990's, around the same time this book was published. When she returned to the U.S., she spoke highly of his warm, loving family. Mosteshar herself clearly had a lot of emotional issues that led her to place herself unnecessarily in unpleasant situations. For example, after describing a man who was courting her as a very un-appealing idiot, she then proceeds to marry him. It's difficult to feel much sympathy for a protagonist who brings her problems on herself as much as Mosteshar does. I don't recommend this book. The author's own lack of common sense makes her a poor source to use in learning about what Iran is like. She seems incapable of seeing the big picture, and her constant complainting about difficulties she brought upon herself through her own poor decision-making becomes quite tedious. This is not really a description of post-revolutionary Iran. The book's subtitle, "One Woman's Nightmare in Iran", might lead you to think the book will be exposing injustices against women in Iran. This is deceiving. The only nightmares the author of this book experienced in Iran were those she brought on herself through making choices that were not thought through very well. She seems like the sort who would manage to have a nightmare lifestyle even in Paradise. Mosteshar is supposedly a journalist, and yet her writing style is chaotic and incoherent. I think she needs to find a different career. Although this book has some redeeming qualities, it's very annoying to read due to the not-too-bright main character. She goes from one bad choice to another, and then whines when things don't work out very well for her.